Our client required a new living space with good connection to the lower rear garden and additional bedroom and bathroom accommodation at first floor. 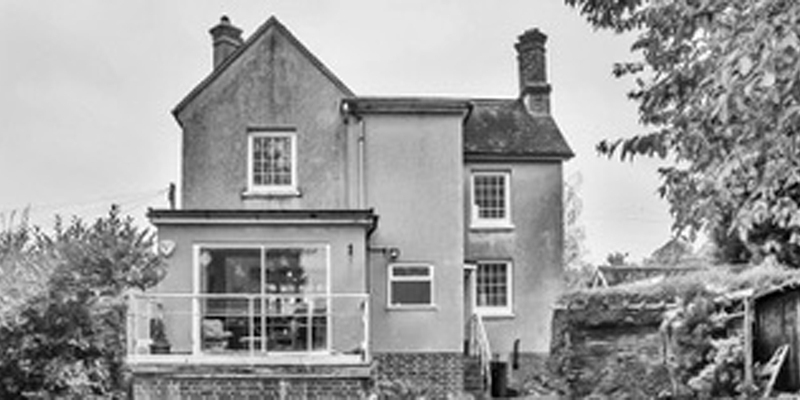 We designed a light, modern two storey rear extension behind the original cottage building. The split level ground floor arrangement provides additional ceiling height to the new living space and helps to address the level change to the rear garden.